Engine: 3.0 litre turbo-diesel, in-line 4-cylinder, DOHC, 16-valve, with 380 Nm of torque @ 1,800-2,800 rpm (automatic) and 130 kW maximum power @ 3,600 rpm. Euro 4 compliant. Transmission: Aisin AW TB50-LS 5-speed with sequential shift. Brakes: Heavy-duty - 300mm ventilated front discs with twin-pot callipers, 295mm rear drums. Wheels & Tyres: 17"x 7" alloy wheels; 255/65 R17 HT tyres. Height: 1,795mm (excluding roof attachments); Wheelbase: 3,095mm. Towing: 3,000kg (braked trailer), 750kg (unbraked trailer). Fuel tank capacity: 76 litres. The MLP* for the Isuzu D-Max models commence at $27,200* for the 4x2 single-cab "SX" manual cab/chassis. The 4x4 models commence at $33,400* for the single cab "EX" manual cab/chassis. Utility models in 4x4 format commence at $42,000* for the 4x4 crew-cab "SX" hi-ride ute. Out test truck, the D-Max 4x4 crew-cab "LS-Terrain" automatic is priced from $51,700* (without extras such as towing equipment and roof racks which were fitted to the test vehicle). There is an old saying that first impressions are lasting impressions. 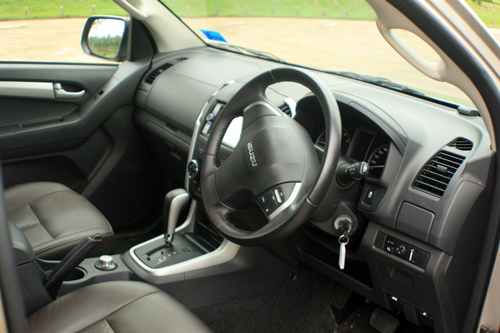 In this instance we refer to our drive in Isuzu’s D-Max range topping 4x4 dual-cab ute, equipped with a 3.0-litre turbo diesel with automatic transmission and leather seats - LS-Terrain Special Edition is the model name for this version. 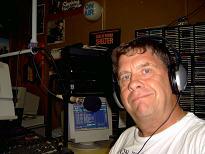 The good impressions we experienced upfront became the lasting impressions! 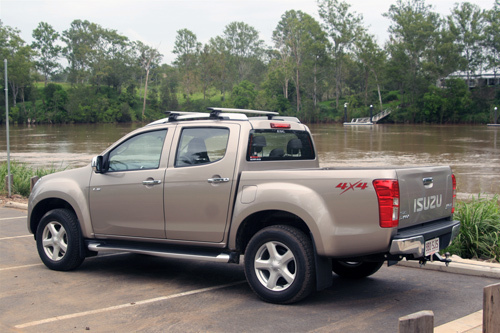 Isuzu Australia’s Brisbane team fitted the D-Max with a tow pack and roof racks for the purpose of our test. We were able to test the D-Max over a four week period towing a caravan, and utilising the racks to carry a kayak. Our journey with the D-Max was from Brisbane to Brunswick Heads in northern New South Wales. In essence the trip was not long, but more than enough to get a true feel for the D-Max’s capabilities for caravan towing. The D-Max was easy to fit into and provided a feeling of “this was going to be a good drive”. Seating position was good, electric seats allowed for easy and comfortable settings, up, down, lumbar support, that is important for us baby boomers. Driving vision was good, with large door mirrors providing excellent views to see other road users who were overtaking the rig. Like all tow vehicles, it is impossible to see vehicles directly behind. When buying a tow vehicle, buyers may or may not consider fuel consumption. To say that the Isuzu D-Max impressed would not be an understatement. Without the van the diesel consumption was below 9 litres per 100km. That’s pretty good and we would imagine that there would not be too many unhappy owners with that sort of number. Towing the van displayed consumption changes on the onboard computer somewhat higher, as you would expect, averaging around 16 litres per 100km (estimated) with our 1,000kg van. This is a credible result. The D-Max was always driven to speed limits for test purposes to show it’s true performance characteristics. D-Max performance was excellent, with the diesel motor responding to throttle pressure, moving with ease off the mark. Remembering it is built as work ute, with a few comforts. Well ..... compared to utes of old, it was more of a luxury tourer with a solid, firm ride. The ladies also tested the D-Max, and surprise, surprise they too actually enjoyed the ride and were more than happy to drive it around. Their comments being, that the turning circle was good, that it was better than other utes they had driven. The LS-Terrain model had leather trim, iPod connectivity, hands free telephone, reversing camera, together with typical D-Max features such as electric stability control, traction control, brake assist plus, which are great assets when towing a caravan. Summing up, the D-Max was a good all-round performer, driveability was good, excellent performance, exceptional fuel economy and reasonable comfortable for this type of vehicle. 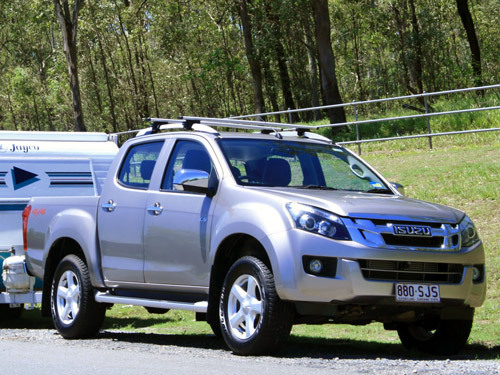 Towing the smaller size of caravan was a breeze for the Isuzu D-Max ute. There were some issues for us, not necessarily with the vehicle though. If you are seriously interested in a D-Max for recreational use, we believe extras would include a colour-matched canopy for reasons such as security and keeping gear free from weather conditions (wind and rain). A 12 volt outlet in the tub to run a fridge, perhaps a second battery and a solar panel to keep it charged to enhance your travel experience. All told, the Isuzu D-Max performed well for the recreational and urban use that we assigned to it. It is a thoroughly deserving vehicle for this type of usage.